We often find ourselves in situations where we want to persuade people to agree with us. There are many ways to do this, but one of the most effective ways is to build as much as possible on beliefs that we already hold in common. Then, on the basis of that common ground, we can try to convince them of other matters. In many respects, this is what the author of the book of Hebrews did. He wrote to a church that was tempted to seek safety from persecution by returning to teachings held by their local Jewish community. So, to persuade them to remain faithful to Christ, he built a case as much as he could on the basis of beliefs that he and his audience held in common. 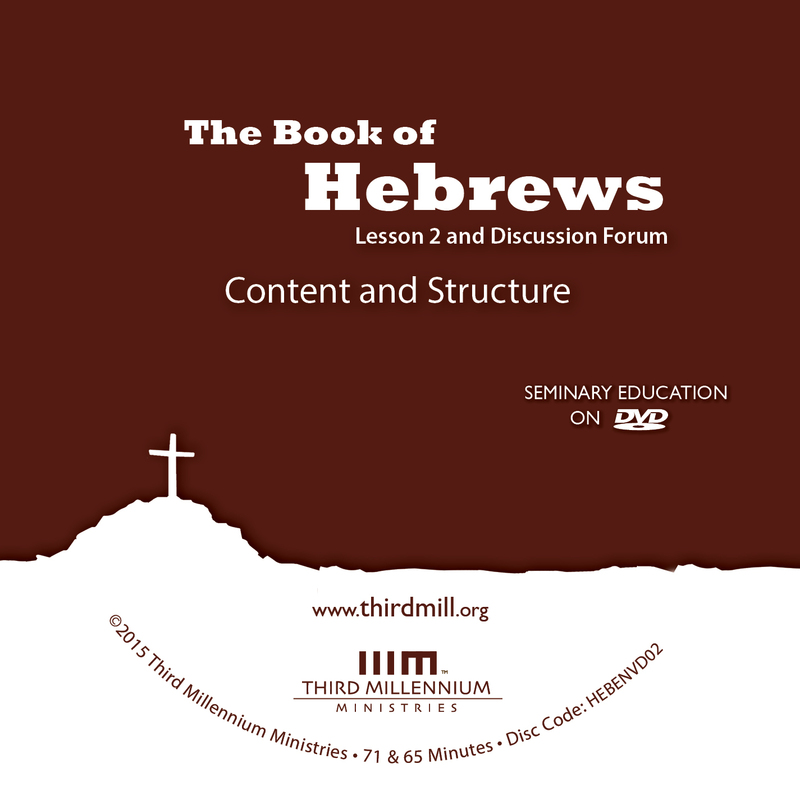 This is the second lesson in our series The Book of Hebrews and we've entitled it "Content and Structure." In this lesson, we'll see how the author of Hebrews followed this persuasive strategy as he exhorted his audience to renew their commitment to Christ. Our lesson on the content and structure of Hebrews will be divided into two parts. First, we'll see the recurring content that appears in every major division of the book. Second, we'll explore Hebrews' rhetorical structure, how the author wove these recurring elements into persuasive presentations. Let's look first at the recurring content of Hebrews. The author of Hebrews wrote to exhort his audience to reject local Jewish teachings and to remain faithful to Jesus. At this point in our lesson, we want to see how the author accomplished his purpose by using similar elements over and over. A closer look at the recurring content of Hebrews reveals that the author fulfilled his overarching purpose by repeating three main elements. First, he called attention to the fact that history had reached its last days in Jesus. Second, he presented Old Testament support for this belief. And third, he offered his audience a number of exhortations to persevere in their Christian faith. Let's begin with the author's belief that the last days had come in Jesus. For the most part, when followers of Christ hear the expression "last days," their minds go directly to events surrounding Christ's return in glory. Many of us spend a lot of time and effort trying to understand events like the great tribulation, the rapture, and the millennium. But when we speak of the "last days" in the book of Hebrews, we have in mind something that is much broader than events closely related to the second advent of Christ. Christian theologians often refer to the Bible's teaching on the last days as "eschatology." 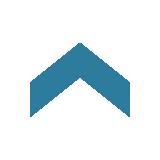 This technical term derives from the Greek word eschatos which means "last" or "final." Interestingly, this New Testament terminology appears in the Old Testament as early as the mention of "the latter days" in Deuteronomy 4:30. There, Moses warned that Israel would go into exile if they rebelled against God. But he assured them that "in the latter days," if they repented, they would return from exile to incomparable blessings from God. And Old Testament prophets also spoke of events associated with Israel's return from exile as happening "in the last days." In the past God spoke to our forefathers through the prophets at many times and in various ways, but in these last days he has spoken to us by his Son (Hebrews 1:1-2). Notice how these opening verses refer to what God had done in Christ as happening "in these last" — or eschatological — "days." What did the author of Hebrews mean by this? Why was eschatology so important to him? To understand eschatology in Hebrews, we have to wind our way through some twists and turns of Israel's history near the end of the Old Testament and into the time between the Old and New Testaments. During the monarchical period, Israel fell deeper and deeper into rebellion against God. God eventually sent the Assyrian army to drive the majority of Northern Israelites into exile. Later on, God sent the Babylonian armies to do the same to Judah. Now, around 538 B.C. a remnant of Israel and Judah returned to the Promised Land with the hope that God would pour out the judgments and blessings of the last days. But large-scale repentance never took place. And as a result, Israel was doomed to suffer for five centuries under the tyranny of the Medes and Persians, the Greeks, and finally under the Roman Empire. During the time between the Old and New Testaments, most Jewish communities steadfastly held to the hope that God's final judgments and blessings of the last days would come. This hope was so important to them that they divided all of history into two great ages. They spoke of the time in which they lived as "this age," the age of sin that resulted in Israel's failure and exile. And they also spoke of "the age to come," the time when God would pour out his final judgments on his enemies and his final, glorious blessings on his faithful people. And based on Old Testament prophecies, they knew that God would send the great son of David, the Messiah, to bring about the transition from this age to the age to come. By focusing on eschatology, the author of Hebrews built on a belief he held in common with his audience and with the broader Jewish community. But at the same time, he pointed out time and again where those who believed in Jesus and those who did not parted ways. Unbelieving Jews held that the Messiah would bring a dramatic, catastrophic transition between this age and the age to come. But followers of Christ learned that Jesus was bringing the last days in three stages: the inauguration of his messianic kingdom in his first coming, the continuation of his messianic kingdom throughout church history, and the consummation of his messianic kingdom when he returned in glory. New Testament authors described all three of these stages as "the last days" in passages like Acts 2:17 and 2 Peter 3:3. We can get a sense of the importance of this theme when we note that the author of Hebrews used familiar language for "the last days" on no less than six occasions. In Hebrews 2:5, he wrote of "the world to come" when Christ would return in glory. In 6:5, he referred to "the powers of the coming age" that many in his audience had experienced. In 9:11, he wrote of Christ as the priest of "the good things that are already here." In 9:26, he referred to the time of Jesus' earthly ministry as "the end of the ages." In 10:1, he spoke of the blessings resulting from Christ's sacrifice as "the good things that are coming." And in 13:14, he described the final hope of Christ's followers as "the city that is to come." The frequency of these well-known ways of referring to the last days gives us a glimpse into how significant this theme was to the author's purpose. Now that we've seen how the recurring content in Hebrews includes a focus on the last days in Jesus, we should turn to a second repeated element in the book: the author's Old Testament support for his theological views. By most calculations, the book of Hebrews quotes, refers to, or alludes to the Old Testament nearly 100 times. These interactions with the Old Testament Scriptures were so crucial to the author's purpose that they appear in every major division of his book. And of course, it isn't difficult to understand why. To challenge the teachings of the local Jewish community, the author of Hebrews appealed to a common document they all held sacred: the Old Testament. For the purposes of this lesson it's helpful to see five main ways that the author of Hebrews repeatedly treated quotations from the Old Testament. In the first place, he drew attention to factual backgrounds from the Old Testament. Simply put, the author recalled some historical detail from the Hebrew Scriptures and quoted a few words. He then incorporated the facts into his presentation of the Christian faith. For instance, in Hebrews 7:2 he explained that the name "Melchizedek, king of Salem," from Genesis 14:18, means "king of righteousness" and "king of peace." This factual background then enhanced his comparison between Jesus and Melchizedek. As another example, in Hebrews 12:20-21, the author noted Israel's fear at Mount Sinai reported in Exodus 19:12,13 and Deuteronomy 9:19. He then contrasted Israel's fear with the joy of the heavenly Jerusalem for Christ's followers. In the second place, the author also noted abiding theological outlooks established in the Old Testament that were still true in his own day. In these cases, rather than noting simple historical facts, the author focused on theological beliefs affirmed by the Hebrew Scriptures — beliefs about God himself and other matters in close relation to God. For instance, in Hebrews 1:5, the author referenced 2 Samuel 7:14 — or its parallel in 1 Chronicles 17:13. Here, God declared that every king in David's dynasty would be called God's "son" from David's time forward. In Hebrews 1:7, the author quoted Psalm 104:4 where angels were described as serving spirits. In Hebrews 2:6-8, he cited Psalm 8:4-6. He argued that God had ordained human beings to be lower than angels only until the end when mankind, not angels, will rule with Christ over all of creation. Hebrews 2:13 refers to Isaiah 8:17,18. These verses demonstrate that the blessings of God's vindication will be shared among members of Abraham's human family, and not among angels. In Hebrews 6:13,14, the author cited God's oath to Abraham from Genesis 22:17. Here God established that his promise to Abraham was permanent, extending even to New Testament times. In Hebrews 12:29, the author quoted Deuteronomy 4:24 describing God as a consuming fire. He did this to strengthen his teaching that God is still a consuming fire in Christ. Similar examples appear in Hebrews 4:4-7, 8:5, 9:20, 10:30-31, 10:38, and 13:5. In all of these passages, the author of Hebrews insisted that certain theological outlooks established in the Old Testament continued to be true in New Testament times. In the third place, the author of Hebrews also noted abiding moral obligations. In these cases, the author pointed out that God had placed certain moral requirements on his people in Old Testament times. And these obligations were to remain as standards for God's people in New Testament times. For example, in Hebrews 3:7-15, he indicated that Psalm 95:7-11 taught Israel not to rebel against God. Hebrews 12:5,6 showed that Proverbs 3:11,12 urged Israel not to be discouraged when God disciplined them. Hebrews 12:13 instructed his audience to follow Proverbs 4:26 and adhere to the path of righteousness. And in Hebrews 13:6, by quoting Psalm 118:6-7, the author urged his audience to confess confidence in God. All of these references pointed out that Old Testament moral obligations continued to be in force for followers of Christ. In the fourth place, the author quoted a number of eschatological predictions from the Old Testament. In many passages, Old Testament authors made predictions about the "last days." They wrote about what God would do when Israel's exile came to an end and God's victorious kingdom spread throughout the world. The author of Hebrews used several Old Testament eschatological predictions to show that God's final judgments and blessings are fulfilled in Christ. For instance, Hebrews 1:6 noted Deuteronomy 32:43 as it was translated in the Septuagint, the Greek translation of the Old Testament. This verse says that angels will bow in humble worship when God has his final victory over all his enemies. In a similar way, in Hebrews 1:10-12, the author quoted Psalm 102:25-27. This passage predicts that the current arrangement of creation, in which angels are greatly honored, will be destroyed at the end of history. Hebrews 1:13 quotes Psalm 110:1 to show that David's prediction of universal sovereignty for his great Son exalts the Messiah over angels. In Hebrews 5:6 and 7:17, the author referred to Psalm 110:4. He emphasized the prediction that David's great Son will not seize his royal priesthood for himself but will receive it from God. In Hebrews 8:8-12, the author referred to Jeremiah 31:31-34. These verses predicted that, after Israel's exile, the new covenant would overcome the problem of human failure in God's covenant with Moses. Hebrews 10:16,17 refer again to Jeremiah 31 to show how the new covenant in Christ eliminates the need for further sacrifices. The author of Hebrews appealed to similar predictions about the last days, or the eschatological age, in Hebrews 7:21, 10:37, and 12:26. In the fifth place, the author referred to a number of dynastic ideals that were established for David's lineage in the Psalms. These passages express standards of faithfulness and service to God for everyone in David's dynasty. But, at best, David's Old Testament descendants only reached these standards imperfectly. The author of Hebrews insisted that Jesus is the supreme, perfect fulfillment of the ideals for David's royal house. For example, in Hebrews 1:5, the author quoted Psalm 2:7 and 2 Samuel 7:14. These verses indicate that God adopted a descendant of David as his royal son to rule over vassal nations. Hebrews 1:8,9 quotes Psalm 45:6,7. This royal wedding Psalm extols God's reign over all by honoring a king in David's dynasty who loves righteousness and hates wickedness. In Hebrews 2:11-12, the author referred to Psalm 22:22. In this verse, David pledged to share the joy of his vindication in the assembly of other Israelites. The author used this verse to show that Jesus perfectly fulfills this dynastic ideal by sharing his vindication with the children of Abraham. In Hebrews 10:5-7, the author referred to Psalm 40:6-8. In these verses, David pledged to devote his whole body to God in the place of animal sacrifices. The author applied this to Jesus whose bodily sacrifice on the cross was the supreme, eschatological fulfillment of this ideal. So far we've looked at the recurring content in Hebrews involving the last days in Jesus and the Old Testament support for the author's theological views.  Now we're in a position to look briefly at a third repeated element: the author's exhortations to persevere. In our previous lesson, we mentioned that, in Hebrews 13:22, the author of Hebrews described his entire book as "my word of exhortation." And depending on how you count them, Hebrews includes around 30 explicit exhortations. As we'll see, each exhortation touched on a specific matter, but they were all designed to call the original audience to persevere in their loyalty to Christ. At this point in our lesson, we want to look at two crucial features of the author's exhortations to persevere. First, we'll make a few comments on the responses the author hoped to elicit from his audience. And second, we'll note how he provided motivations for his audience to persevere. Let's look first at the range of responses the author wanted to evoke. One of the remarkable features of the book of Hebrews is the breadth of responses the author encouraged from his audience. Now, when we deal with an ancient language like New Testament Greek, it's often impossible to identify nuances of meaning for particular expressions. So, we'll limit ourselves to just a few relatively clear examples. In general, the author's exhortations encouraged his audience to apply his book emotionally, conceptually, and behaviorally. For the original audience to persevere, it was crucial that they pay attention to this entire range of responses. First, the author of Hebrews often exhorted his audience in the emotional dimensions of their faith. In Hebrews 3:8,15 he said, "do not harden your hearts." In verse 13 of the same chapter we read, "encourage one another daily … so that none of you may be hardened." Along these same lines, in 4:1 he said, "let us be careful" or more literally — and better in this context — "let us fear not entering God's rest." He encouraged his audience in 4:16 to "have confidence," or boldness, as they approached God's throne of grace for help. He called on them in 10:22 to "draw near to God with a sincere heart in full assurance of faith." And in 10:35 he exhorted them, "do not throw away your confidence" or courage. As important as these emotional emphases were to the author of Hebrews, he also exhorted his audience to apply his text on a conceptual level. He wanted his inspired words to influence their theological doctrines and beliefs. For instance, in Hebrews 2:1 he called for his audience to "pay more careful attention" to what they had heard. In 3:1 the author urged them to "fix [their] thoughts on Jesus." And he encouraged them in 6:1 to "leave the elementary teachings about Christ" and grow in their knowledge and understanding. Interestingly, the author of Hebrews didn't stress specific behavioral elements early on. To be sure, his exhortations usually had behavioral implications, but most of his explicit behavioral exhortations appear toward the end of his book. In Hebrews 12:16 he exhorted his audience to "see that no one is sexually immoral." And in 13:1-19 he addressed areas like hospitality, marriage, professing Christ's name, and doing good. This range of exhortations illustrates a variety of ways that the author of Hebrews wanted his audience to respond to his book. Clearly, they needed to be aware of their emotions, concepts, and behaviors if they were to persevere in faithful service to Christ. We've seen that the author of Hebrews' exhortations to persevere evoked a range of responses. Now let's note how the author presented both positive and negative motivations to encourage perseverance. Do not throw away your confidence; it will be richly rewarded (Hebrews 10:35). On the other side, however, the author of Hebrews often used negative motivations to exhort his audience. These exhortations were primarily threats and warnings of divine judgment. For example, in Hebrews 2:2-3, he noted that those who disobeyed angels were punished. So, how could anyone who ignored the word of salvation in Christ expect to escape God's judgment? In 6:4-8 he cautioned that everyone who has fallen away "is in danger of being cursed." In 10:26-31 he warned of "a fearful expectation of judgment and of raging fire that will consume the enemies of God." The threats of judgment against the audience of Hebrews often trouble interpreters because they sound as if true believers can lose their salvation. For this reason, these portions of Hebrews have often been battlegrounds between Christians who hold one view or the other on this issue. Although time won't allow us to discuss this theological matter in much depth here, it will still help to comment on two important aspects of this issue. First, we must keep in mind that the book of Hebrews is not a technical systematic theology. By this we mean that, often, the Scriptures use terminology, even terminology about salvation, with more variety than Christian theologians and theological traditions. In fact, every branch of the church tends to use certain theological terms more narrowly than the various ways they're used in Scripture. This practice is almost unavoidable if we hope to have theological systems that aren't confusing. Yet, this approach is also dangerous because it's easy to read our own narrow definitions of terms and expressions into a book like Hebrews. This danger is especially evident when it comes to understanding the way the author of Hebrews described those who become apostate, or those who fall away from Christ. Those who have once been enlightened, who have tasted the heavenly gift, who have shared in the Holy Spirit, who have tasted the goodness of the word of God and the powers of the coming age… [can] fall away (Hebrews 6:4-6). The difficulty here is that many of us use these and similar expressions in our technical theological vocabulary to describe only true believers. Other examples include Hebrews 10:29 where apostates are described as having been "sanctified" by the blood of the covenant. Or 10:32 that says they "had received the light." In reality, similar descriptions are used in the New Testament for those who participate in what theologians often call the "visible church." This is distinctly different from the "invisible church," or the body of true believers. People of the visible church are those who are part of the church outwardly but not necessarily inwardly. This distinction within the church is similar to the way Romans 2:28,29 distinguishes between those who were Jews only "outwardly" — phaneros in Greek — with outward, physical circumcision, and those who were Jews "inwardly" — kruptos in Greek — and circumcised in the heart. If they had belonged to us, they would have remained with us; but their going showed that none of them belonged to us (1 John 2:19). Anytime anyone turns away from the Christian faith, they show that they did not actually belong to the invisible church. In our lesson on the content and structure of Hebrews, we've seen three elements of the recurring content in the book. Now, let's turn to the second main topic of our lesson: the rhetorical structure of the book of Hebrews. As we saw in our previous lesson, the original audience of the book of Hebrews was facing persecution. The temptation to embrace the false teachings of the local Jewish community was widespread. And the author of Hebrews wrote to persuade his readers not to give up and not to be led away from Christ by these teachings. So, just how did the author of Hebrews weave the content of his book together to fulfill his purpose? What did this rhetorical structure look like? The first major division focuses on beliefs about angelic revelations in 1:1–2:18. The second major division discusses Moses' authority in 3:1–4:13. The third major division addresses Melchizedek's royal priesthood in 4:14–7:28. The fourth major division concentrates on the new covenant in 8:1–11:40. The fifth major division deals with practical perseverance in 12:1–13:25. The author of Hebrews used each of these major sections to persuade his audience that they must remain faithful to Christ, even in the midst of suffering. Let's look first at how the book of Hebrews dealt with angelic revelations in 1:1–2:18. As we mentioned in our preceding lesson, a number of Jewish writings from Qumran, as well as books like Ephesians and Colossians, indicate that Jewish communities in the first century often exalted angels as powerful, glorious creatures who brought divine revelations to inferior human beings. The outlooks of the local Jewish community were rooted in biblical passages, but they gave excessive honor to angels. This exaggerated honor for angels raised a serious challenge to those who followed Christ. After all, everyone knew that Jesus was flesh and blood, a human being. How then could anyone follow what he said instead of the revelations of angels? The author of Hebrews responded to this challenge in five steps. First, in Hebrews 1:1-4 he wrote that his audience should follow Jesus because Jesus is God's supreme source of divine revelation. The author acknowledged that God spoke through angels and other means throughout Old Testament history. But he insisted that, as the divinely appointed royal high priest of the last days, Jesus brought revelation that was far superior to any revelation given through angels. In 1:5-14, the author of Hebrews explained that Jesus is greater than angels because he alone is God's messianic Son. He noted that Jesus fulfilled the ideals for David's house. And Jesus also fulfilled David's prediction of the victory of God's messianic Son over all of God's enemies. By contrast, he noted that angels are nothing more than spirits sent to serve those who inherit salvation in Christ. In 2:1-4, the author exhorted his audience to pay careful attention to the great message of salvation first announced by Jesus. He reminded them that violating messages from angels in the past received just punishment from God. So, his readers should not think that it was possible to escape the judgment of God if they ignored the great salvation revealed by Christ, the one who is our salvation. Hebrews 2:5-9 supports belief in the supremacy of Christ by explaining that Jesus is now ruler over the angels. And in the future all believers will reign over them with him. The author noted that God temporarily set humanity a little lower than the angels, but destined human beings to rule over all creation in the world to come. This final glory given to human beings is anticipated in Christ's current reign in heaven as God's royal high priest. And finally, in Hebrews 2:10-18, the author demonstrated that Jesus is Abraham's descendant. And Jesus will share his glory with Abraham's descendants, not with angels. The author quoted David and Isaiah in this section to show Jesus' connection to Abraham's family tree. He also explained that Jesus, in his humanity, broke the power of the great fallen angel, the Devil. This was not to free angels, but to free Abraham's descendants from the fear of death. Christ's humanity made him a merciful and faithful high priest who atoned for the sins of his people. Having seen how the author of Hebrews dealt with Jewish teachings about angelic revelations, we should turn to the second major division of his book. In Hebrews 3:1–4:13, he responded to challenges about Moses' authority. No human being was as greatly honored in Israel as Moses. Because of the honor given to Moses, we really shouldn't be surprised by these local Jewish teachings. They challenged the audience of Hebrews to obey all that God had revealed through Moses, but without regard to Christ. As we'll see in this division, the author of Hebrews honored Moses as well. But even though Moses was God's faithful servant, Jesus was even greater because he was God's royal high priest of the last days. This portion of the book divides into three main sections, each of which has at least one exhortation to hold Jesus' authority above the authority of Moses. The first section, in Hebrews 3:1-6, explicitly calls Hebrews' audience to honor Jesus above Moses. This section points out that Moses built God's house, the tabernacle. But as God's royal Son, Jesus rules over God's house, the church. Fix your thoughts on Jesus … [who] has been found worthy of greater honor than Moses (Hebrews 3:1-3). The author insisted that Jesus was faithful to God, like Moses, but Jesus was "worthy of greater honor." Following these verses, in 3:7-19, the author warned his audience to avoid hardness of heart and rebellion like the Israelites who rebelled against Moses. The author supported this exhortation by pointing out that most of those who followed Moses didn't enter the Promised Land because they rebelled against God. In much the same way, those who follow Christ will share in Christ only if they hold their original conviction firmly to the end. Unbelief kept Israelites out of the Promised Land; unbelief will do the same in Christ. In Hebrews 4:1-13, the author elaborated on his comparison between following Christ and following Moses. He exhorted his audience to make every effort to enter God's rest. Using the Old Testament, he explained that entering God's rest was still in the future. So they should take to heart how God's word lays everything bare before him. It's God to whom they must give an account. And they should strive to enter his rest and not imitate Israel in the wilderness. After dealing with angelic revelations and Moses' authority, the author of Hebrews challenged the local Jewish teachings about Melchizedek's royal priesthood in Hebrews 4:14–7:28. In our preceding lesson, we mentioned a text called 11QMelchizedek or The Midrash on Melchizedek discovered at Qumran. This text depicted Melchizedek as a heavenly figure who would appear in the last days to offer final atoning sacrifices and to usher in the kingdom of God. Apparently, some of the people in the original audience were confused by this kind of teaching. Why should they follow Jesus as God's royal high priest in the last days instead of expecting Melchizedek? So, the author of Hebrews demonstrated that Jesus was the true royal priest after the order of Melchizedek. This division unfolds in four sections. The first and third sections exhort the audience to hold Christ above Melchizedek, and the second and fourth sections demonstrate the reasons why. In Hebrews 4:14-16, the author introduced the subject of Melchizedek with an exhortation for his audience to hold firmly to the faith they professed. He encouraged them by stressing that Jesus is a fully human, sinless, great high priest who ascended into heaven and makes it possible for believers to receive mercy and grace to help them in their times of need. In 5:1-10, the author of Hebrews explained how Jesus was qualified as God's royal high priest in the order of Melchizedek. Jesus met the qualifications for priesthood through his obedience and suffering. But he didn't promote himself to this position. By quoting Psalm 2:7 and Psalm 110:4, the author demonstrated that the hopes Israel placed in Melchizedek would actually be fulfilled by David's dynasty. So God himself designated Jesus to be the royal high priest in the order of Melchizedek. As such, Jesus became the source of eternal salvation for all who obey him. Hebrews 5:11–6:12 is a lengthy exhortation to Hebrews' audience to move beyond elementary teachings to maturity. The author admitted that his audience was unable to grasp his discussion about Christ and Melchizedek. But he encouraged them to mature in their understanding so that they wouldn't fall into apostasy. He warned that if they turned from faith in the one true royal high priest, no sacrifice for sin would remain. The author had high hopes for his audience, but they had to turn from their laziness and imitate those who had faith and endurance to inherit what God had promised. In Hebrews 6:13–7:28, the author continued his discussion of Jesus as the fulfillment of the royal priesthood of Melchizedek. Specifically, he explained that Jesus' royal priesthood superseded, or surpassed, the Levitical priesthood. When Hebrews was written, services continued at the temple in Jerusalem. This fact raised a serious challenge to the Christian claim that Jesus' death had ended the need for Levitical sacrifices at the temple. To answer this challenge, the author built on local Jewish beliefs that Melchizedek would end all sacrifices in the last days. But he concluded from God's sworn oath in Psalm 110:4 that Jesus, the great son of David, was the eternal royal priest after the order of Melchizedek. Therefore, Jesus had ended the Levitical sacrificial system. To show Jesus' superiority to the Levitical priesthood, the author also noted that, in Genesis 14:20, Abraham paid a tithe showing that Melchizedek was his superior. Therefore, Levi, Abraham's descendant, did the same symbolically through Abraham. So, it was proper for Christ, as the royal high priest in the order of Melchizedek, to supersede the Levitical priesthood. Levitical sacrifices could never bring full atonement, but as the fulfillment of Melchizedek's royal priesthood, Christ had made atonement once and for all. The fourth major division, in Hebrews 8:1–11:40, focuses on the new covenant. Here, the author of Hebrews further explained the supremacy of Christ as God's ordained royal high priest by discussing how the new covenant is superior to the old. The terminology "new covenant" derives from Jeremiah 31:31. In this verse, the prophet predicted that God would grant a covenant of final renewal to Israel and Judah after Israel's exile in the last days. This same eschatological covenant was called a "covenant of peace" in Isaiah 54:10 and Ezekiel chapters 34 and 37. So, at this point, the author of Hebrews transitioned from his discussion of Melchizedek in the last days to a discussion of the new covenant. This division of Hebrews consists of eight main sections. First, Hebrews 8:1-13 introduces the idea that Jesus mediates the new covenant as the royal high priest in heaven. In verses 1 and 2, the author stated explicitly what he called "the point of what [he was] saying." He explained that Christ, the royal high priest, is in heaven serving in "the true tabernacle set up by the Lord, not by man." In other words, the Levitical priesthood fulfilled that role on earth. But their priesthood was based in the law. In the Old Testament, the covenant with Moses established the earthly Levitical priesthood, but it failed because of Israel's sins. It is founded on better promises (Hebrews 8:6). These "better promises" offer the complete transformation of God's people and the final eternal forgiveness of their sins. Christ came as high priest of the good things that are already here (Hebrews 9:11). This statement emphasized that those who have faith in Christ have been freed from sin through his perfect priestly atonement and now have open access to the throne of grace in heaven. Now he has appeared once for all at the end of the ages to do away with sin by the sacrifice of himself (Hebrews 9:26). I will forgive their wickedness and will remember their sins no more (Jeremiah 31:34). Jesus died as a ransom to set his people free from judgment. The author ends this portion by stating that Christ will return, but not to bear sin again. When he returns, Jesus will bring the fullness of salvation to those who wait for him. Hebrews 10:1-18 continues to compare and contrast the covenant of Moses with the new covenant. This time the author asserted that, in the new covenant, Jesus' high priesthood brought final forgiveness of sin. He repeated that the sacrifices of the Day of Atonement were an annual reminder of sins, but could not take away sins. And he acknowledged that animal sacrifices could never please God. He quoted David in Psalm 40 where David offered himself to God as an ideal. And he explained that Jesus fulfilled this ideal by his sacrifice on the cross. While Levitical sacrifices could not bring final forgiveness of sin, Jeremiah's prediction of a new covenant promised that God would forgive the sins of his people forever. Jesus accomplished that. So there is no longer any need for animal sacrifices. Hebrews 10:19-23 is the first of four sections of exhortations. First, the author called his audience to draw near to God and hold onto their hope. He explained that Christ, through his blood, had opened the way into the Most Holy Place. Now, as verse 23 tells us, they could "hold unswervingly to the hope [they] profess[ed]" because God is faithful. In 10:24-31, the author also exhorted his audience to encourage one another "toward love and good deeds." He mentioned that they must meet together, and all the more as they saw the day of judgment approaching. He then explained the severity of judgment that awaits those who "trample the Son of God underfoot," who treat the blood of the covenant as unholy, and who insult the Spirit of grace. As he noted, God will judge his own people. In Hebrews 10:32-35, the author called his audience to remember the past and not throw away their confidence. He reminded them that they had willingly and joyfully suffered in the past because they knew they had better and lasting possessions in the world to come. If they continued in this way, they would be greatly rewarded. We are not of those who shrink back and are destroyed, but of those who believe and are saved (Hebrews 10:39). Following this series of exhortations, in 11:1-40, the author focused his letter on faith that saves. We've mentioned before that the audience of Hebrews had endured persecution in the past and faced the possibility of even more. So, the author encouraged them to have faith that does not retreat in times of trouble. He then illustrated what he meant by giving a long list of figures in Old Testament history who remained faithful as they endured hardship. During their lifetimes, these faithful ones didn't receive what had been promised because God's promise was for a future time. But, as the author of Hebrews explained, they would share with the author and his audience in being made perfect when Christ returns. The last major division, in Hebrews 12:1–13:25, brings the book of Hebrews to a close by elaborating on the theme of practical perseverance. This division consists of a long series of exhortations and explanations. For our purposes, we'll simply summarize these exhortations. As the author of Hebrews moved toward closing his book, he rapidly listed many different exhortations about specific areas of life. In many respects, this is the most practical portion of his book because it touches, especially, on the kinds of behaviors he hoped his audience would pursue. But the author also took the opportunity to inspire and energize his audience with a vision of the great privileges they enjoyed as followers of Christ. These exhortations can be divided into five general categories followed by a closing. In Hebrews 12:1-3, the author exhorted his audience to persevere, as if in a race. They could do this by throwing off sin and focusing on Christ, who did the same. Hebrews 12:4-13, exhorted the audience to endure hardship as fatherly discipline from God. The author supported this outlook by quoting Proverbs 3:11,12. He explained that God's discipline "produces a harvest of righteousness and peace." So, he encouraged them to strengthen themselves and not be disabled by suffering. In Hebrews 12:14-17, the author again exhorted his audience to encourage each other. He urged them to live in peace and be holy. They were to insure that no one falls short or becomes sexually immoral. He illustrated how important this was by referring to the example of Esau who could not reverse giving up his inheritance rights. You have come to Mount Zion, to the heavenly Jerusalem, the city of the living God. You have come to thousands upon thousands of angels in joyful assembly, to the church of the firstborn, whose names are written in heaven. You have come to God, the judge of all men, to the spirits of righteous men made perfect, to Jesus the mediator of a new covenant, and to the sprinkled blood that speaks a better word than the blood of Abel (Hebrews 12:22-24). In Hebrews 13:1-19, the author briefly encouraged his audience to be faithful in daily life. He mentioned loving each other, remembering outsiders and prisoners, honoring marriage, being content, and remembering their leaders. He also reminded them to resist the strange teachings of their local Jewish community and to embrace the suffering of Christ in their own lives. He urged them to offer sacrifices of praise, to do good, and to share with each other. Then he closed this section by urging them to pray for him and his companions. Finally, in Hebrews 13:20-25, the author closed his book. In verses 20 and 21, he offered a benediction, a prayer that God, who raised up Jesus, would work in them and receive glory. Then in verse 22, he called on his audience "to bear with [his word of exhortation," or his sermon to them. And he ended the letter with several salutations. In this lesson, we've looked at the content and structure of the book of Hebrews. We've noted the recurring content focusing on the last days in Christ, the Old Testament support for the author's views, and his many exhortations to persevere. We've also examined the rhetorical structure of the book by noting how the author wove his recurring themes together to address challenges against the Christian faith that came from local Jewish teachings. The book of Hebrews offers great treasures to followers of Christ. Its theological outlooks penetrate deeply into all that Christ has done for us. And it penetrates to the heart of what it means to follow Christ. The book of Hebrews calls us to turn to Scripture as our authority and to receive Christ as the fulfillment of all that God has promised. And it exhorts us to love and serve Christ with thankful hearts until that day when we receive the kingdom he is preparing for us, the only kingdom that will never be shaken. Dr. Steven Um (Host) is Senior Minister at Citylife Presbyterian Church in Boston, MA. Dr. Um earned his Th.M. and M.Div. from Gordon-Conwell Theological Seminary and his Ph.D. from University of St. Andrews. He is a Council member with The Gospel Coalition and Associate Training Director (Asia/Australia) for Redeemer City to City, a training and church planting ministry. Dr. Um also teaches New Testament Studies at Gordon-Conwell Theological Seminary, Covenant Theological Seminary, and Emerson College. Dr. Um is the author of several publications, including Why Cities Matter (Crossway, 2013) and Gospel Shaped Mercy (Good Book, 2017). Dr. Alvin Padilla is Vice President of Academic Affairs at Western Theological Seminary.